Peter now has his journal, but we thought all of you deserved something to remember that fantastic night, too (besides your gift bags), so Mithril reached out with some questions to one of the party planners who was absolutely instrumental in making the party happen. Following is the interview with TORn Senior Staffer greendragon, and scroll down to see some photos of the journal and the party. MITHRIL: When was the decision made to have a 2015 Oscar Party? GREENDRAGON: Hmm… November 2014? It was fairly late in the day… at New York Comic Con. A few staffers ‘ganged up’ to try to persuade me that I had to take on organising ‘one last party’; then Calisuri and I had a long chat about it, and he gave his blessing. So then Altaira and I (and I can’t remember who else at that early stage – Demosthenes?) started looking at crowdfund options – whilst Garfeimao and Arwen started looking at possible venues. MITHRIL: What led TORN to turn to Indiegogo to raise the money for the Oscar party? GREENDRAGON: We decided we needed to crowdfund as a way of selling tickets BEFORE we committed to holding the event. We couldn’t risk promising an event and not selling enough tickets to cover costs – so a crowdfund seemed the best way of making sure costs were covered before we committed! We chose Indiegogo based on the ability to have people pledge but NOT take their money unless we reached our goal. MITHRIL: When did the campaign open? GREENDRAGON: December 1st, 2014 – I remember I was in London. I’d been at a pub the night before, hosting TORn’s party to celebrate the World Premiere of The Battle of The Five Armies; when I got back from the pub, I stayed up really late (and Demosthenes joined me online from Australia!) to make sure I had all the perks sorted and ready to go. That Monday the 1st, I was going to cover the red carpet but spent the early part of the day refreshing our Indiegogo page and seeing what happened in the first few hours! MITHRIL: What was the goal we needed to raise? What was the final amount raised? GREENDRAGON: The goal was $180k USD – we raised 122% of this – $219,187. The figure was very carefully calculated, based on costs of hiring the venue, paying for performers’ transportation, food, lighting, sound equipment, etc. – and we spent every penny we raised! MITHRIL: The fund raising took off quickly but stalled about 1/3 of the way there. Were you concerned we wouldn’t make it? How did you feel when we passed our goal? GREENDRAGON: I wasn’t ‘concerned’ we wouldn’t make it – I knew from day one that it was a real possibility we wouldn’t. My attitude was que sera sera – if enough folks really want this party, we’ll raise the funds. If we don’t, it isn’t meant to be. I didn’t really notice things ‘stall’ – it went in fits and starts all the way along. BUT I was constantly working to push us towards our goal. My parents thought I was nuts – I was at their place for Christmas, and I spent HOURS online every day. A TORn fan, Gina Alessi, who had run a couple of crowdfund campaigns for Sean Astin, offered help and advice, and she was INVALUABLE. She talked me through the best way to keep things going, how to get folks interested, spread the word, etc. – and she arranged, as a donation to TORn, for me to spend an hour on the phone with a crowdfund expert, who taught me LOADS. But it does take hours of work to engage folks, spread the word, etc. enough for a campaign like this to succeed. So when we passed our goal…. Well, I was THRILLED, of course! What an achievement! And I was delighted for all the folks who’d donated so much (money, perks, time) to strive for the goal – they really deserved that success. But I was also exhausted, and aware that the hard work was just beginning – with our goal reached on Jan 18th, we had just over a MONTH to make a party happen!! MITHRIL: It shows the true dedication of Ringers and TORn supporters that they made this happen. Do you have any particular stories about individual fans you’d like to relate? GREENDRAGON: Well, see my comments, re: Gina Alessi, above. She was a massive help. But there were also fans who donated incredible artwork, signed items, etc. for perks. I don’t want to single out any one person because there were so many – every time someone came forward and said, “I’d like to give this”, I was blown away. And people gave WONDERFUL, handmade items. And of course we had a couple of ‘TORn stars’ – L. Ron Halfelven and the anonymous “Fans of JRR Tolkien” – who contributed $10k each. Amazing. MITHRIL: Did many people donate to the campaign that couldn’t even attend the party? 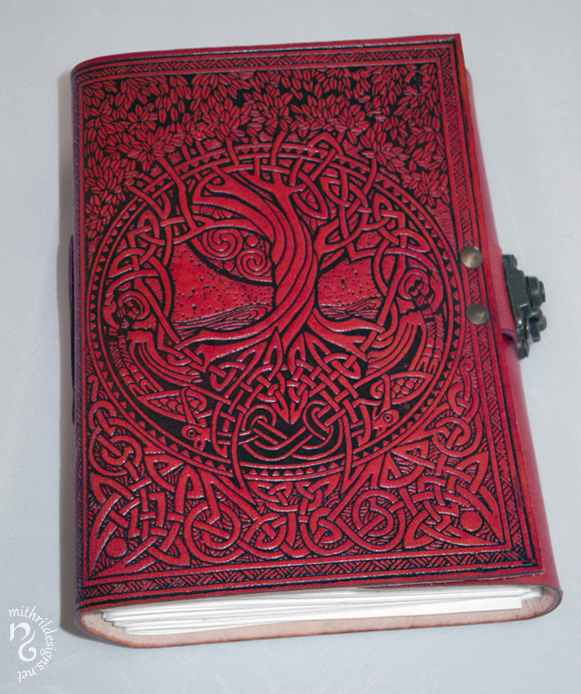 GREENDRAGON: Yes – MANY people chose the “Fellowship of Fans” option, so they could be included in this wonderful ‘Red Book’ which we sent to PJ. And lots of people wanted to get their hands on the t-shirts, books, signed posters, etc. which were available as perks. MITHRIL: Do you know how many? GREENDRAGON: Yes, almost 60% of folks were NOT party-goers. We had 1,514 pledges total – and about 610 people at the party. And of course some folks pledged more than once – for example, 77 people made cash donations in addition to their regular pledges in order to be eligible for the occasional giveaways we offered during the campaign. ‘Shipping countries’ for items included Australia, Brazil, Finland, Greece, Hungary, Japan, Korea, South Africa and Thailand! People just wanted to be part of celebrating Middle-earth and all that PJ’s films have meant to so many in any way they could. MITHRIL: What did they get for their donation besides their name in the journal? MITHRIL: Where did all the auction prizes come from? Were some of them donated by fans? GREENDRAGON: We had some from Houghton Mifflin Harcourt, Badali Jewelry, Sideshow, the artist Jerry VanderStelt, and some from Warner Bros. And, yes, some were donated by fans. MITHRIL: Who sent video messages to the party? What were their reactions when you told them it was the fans who raised the money for the party? GREENDRAGON: PJ sent a message. I think he thought we were nuts trying to raise such a sum. I’d been in touch with the film makers about it throughout, and they were very supportive, but I think they thought it was a tall order! They were pretty impressed when we succeeded! Never doubt TORn fans! We were of course so excited that PJ sent us a special message! Of the original four founders of the TORn website (Tehanu, Xoanon, Calisuri, and Corvar), only Calisuri and Xoanon were able to attend, but Tehanu sent a video message, which we were delighted to have. Thankfully, Calisuri and Xoanon were there – it wouldn’t have been the same without our founders being represented! Adam Brown also sent us a lovely message. So kind of folks to take the time, and having these lovely messages really added something to the evening. MITHRIL: Some of the guest actors who were at the party came from New Zealand. What other countries did people travel from to attend? GREENDRAGON: Yes, Bruce Hopkins and William Kircher (and his band, The California Dreamers) flew over from New Zealand. We also had attendees from Australia, Europe, Canada, and even some from Japan. So it is accurate to say, we had attendees from all over the world. MITHRIL: Where did the bands fly in from? GREENDRAGON: Besides the California Dreamers who came from New Zealand, Emerald Rose flew over from Atlanta. They’ve been long time friends of TORn, and we were delighted to have them there for our ‘one last party’! MITHRIL: Which actors or other LotR/Hobbit related crew attended? GREENDRAGON: Let me see if I can remember: Sala Baker, Bruce Hopkins, William Kircher, John Bell, Mark Ordesky, Tami Lane (Makeup artist), Academy Award winner Joe Letteri and Academy Award nominees Brent Burge and Jason Canovas from Weta Digital, and other guests from Weta Digital and Warner Bros.
MITHRIL: Royd Tolkien, great-grandson of Professor Tolkien, was also there. Where did he travel from to attend? GREENDRAGON: We flew Royd over from London. Very sadly, his brother Mike had died from ALS earlier in the year. Royd wasn’t sure if he’d be able to come, but in the end, he decided such an event was just what he needed at the time. So we were delighted to bring him over to join us – and I know many fans were thrilled to meet him. He’s a great guy. MITHRIL: He looked like he was truly having fun, and he was so generous with his time; he gave many fans a chance to take their picture with him, including myself. Did he make any comments about the party you’d like to relate? MITHRIL: Did you hear any reaction from Peter when he received the journal? MITHRIL: Is there anything else you want to say about the fans and supporters? GREENDRAGON: Just that TORnsibs really are the most amazing creatures. I’ve met up with fans who attended the party when I’ve been at Tolkien events in other parts of the world, and I’m glad (and proud) to say they all say they had an amazing time. It was an incredible amount of work, and an absolutely stellar team of TORn staffers (and others) who made it all happen – and of course, the contributing fans were a HUGE part of that. What an awesome community! And – Calisuri was so pleased with how the party went – he suggested we should hold another to celebrate when TORn turns 20 in a couple of years. We *might* have recovered our energy by then – so maybe not the very LAST party after all?? The Road Goes Ever On….